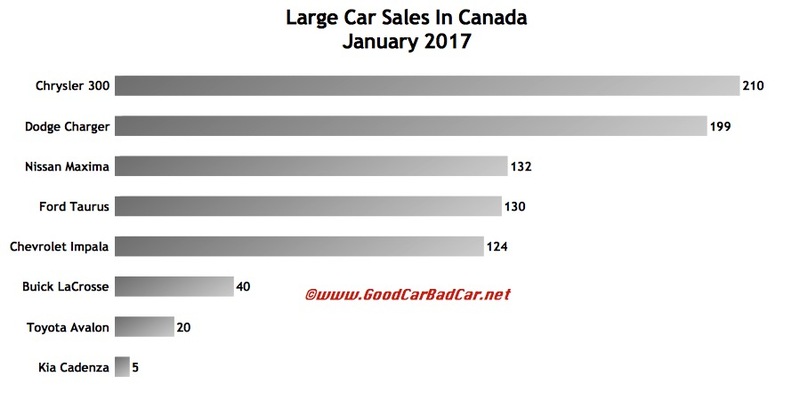 Canadian sales of passenger cars dipped 5% in January 2017 as cars claimed only 29% of all new vehicle sales. 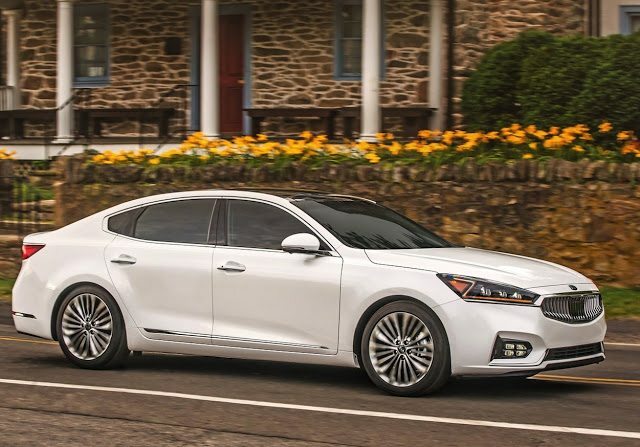 The full-size volume brand cars that form slightly less than 3% of that car market posted a collective 3% year-over-year sales decline despite gains from GM’s two entries – Buick LaCrosse and Chevrolet Impala – and the Chrysler 300, the top-selling car in the category last month. The Hyundai Genesis’ 98% drop to 1 sale comes as the vehicle formerly known as the Genesis moved to the new Genesis brand. That car, the Genesis G80, produced eight January sales. The launch of the Genesis brand in Canada will be a slow one. Meanwhile, at Hyundai’s Kia partner brand, only five Cadenzas were sold last month. Only 699 Cadenzas have been sold since the big sedan’s 2013 Q2 launch, an average of 15 per month. Remove the Hyundai Genesis from the equation and full-size volume brand car sales rose 3% in January 2017. You can click any model name in the tables below to find historical monthly and yearly Canada auto sales data. You can also select a make and model at GCBC’s Sales Stats page. This table is sortable, so you can rank large cars any which way you like. Suggestions on how GCBC should break down segments can be passed on through the Contact page. Mobile users can now thumb across the table for full-width access. * Genesis refers only to the sedan, not the coupe. For Canadian purposes – Hyundai USA doesn’t yet breakdown sales figures for the sedan and much less costly coupe – the Genesis will now be shown with both these volume brands, with which Hyundai is a direct competitor, and midsize luxury cars, with which the Genesis competes. GCBC isn’t here to break down segments, an impossible task for any group, but to display sales data for the sake of comparison. The more ways sales data can be displayed, the better. You can always find the sales results for EVERY vehicle and form your own competitive sets by using the All Vehicle Rankings posts.